For anyone who appreciates a close analysis of statistics, the syllabus for next weekend’s Athletics Ireland Congress provides an interesting snapshot of the sport today. 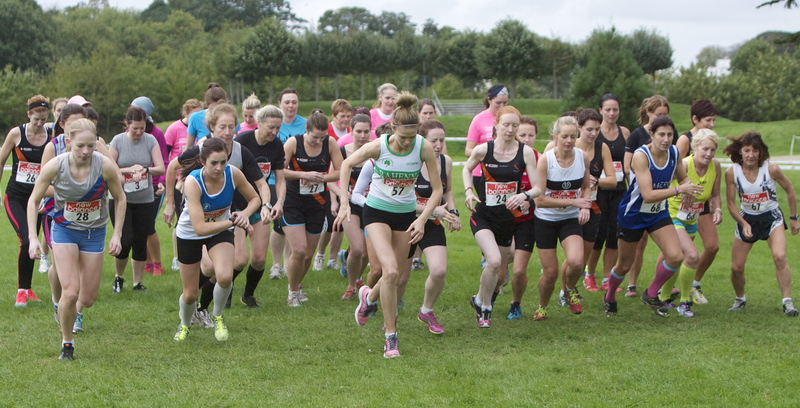 Athletics Ireland now has a membership of almost 50,000 – 49,542 to be precise. That’s an increase of 17% – or 7,248 – on last year’s figure of 42,294. Even more impressively, it’s up by almost 20,000 on 2009, when AI boasted 29,685 members. Most of those members are either under 21 or over 35 – juveniles and masters. Juvenile members number 29,492 of the membership, just shy of 60%. Of the 20,000 new members in the past five years, exactly half are under 18 with a further 533 are classified as “junior” or under 21. All clubs have noticed this, and indeed are struggling to provide coaching and facilities for the influx of young members, those parents have clearly realised what good value the sport of athletics can offer. A year’s swimming for a child could costs up to €2,000; the outlay for taking up athletics is about a tenth of that figure, even when shoes, track fees and travel are considered. Masters athletics is the other boom area of the sport with numbers up from 6,509 five years ago to 15,032 last year. Again the good value offered by athletics clubs and registered running groups is probably the cause; gyms fees or a commercial “running course” can cost four to five times more than the annual membership of a club. Senior members – aged between 21 and 34 – show the slowest growth, with not much change in the current figure of 5,485 over the past four years. The big boost came in 2010 when senior membership rose from 3,474 to 5,300. Among these members are the best known names in the sport – Fionnuala Britton, Derval O’Rourke, Kelly Proper and Brian Gregan among them. Race walker Robert Heffernan and Irish marathon champion Maria McCambridge are both officially masters, while up-and coming stars like Marcus Lawler, and Siofra Cleirigh Buttner are juniors. When it comes to counties, Dublin with 7,113 members in 72 clubs – not surprisingly given its population – is by some way the biggest. Add in the neighbouring counties of Meath with 3,619 in 37 clubs, Kildare with 2,207 in 23 clubs and Wicklow with 1,958 in 20 clubs for a total of 14,897 and 152 clubs – a figure that eclipses other areas of the country. Cork by comparison has 5,852 members, while Tipperary, home of the Nenagh Olympics stadium, has 2,625. Waterford, despite thriving local leagues in both Waterford and Dungarvan, can boast of only 1,464 members in 15 clubs. Westmeath, where the Athlone Indoors Arena opened last year, has 484 paid-up members, although that figure has surely increased by now. So what brings the members in? Athletics Ireland CEO John Foley believes it is the availability of modern tracks. Yet the east coast of the country is not well served by tracks – in the Dublin area, Tallaght, Santry, Lucan and Greystones all require car journeys, as indeed does Irishtown, run by Dublin City Council, where parking is a huge problem. Plans are afoot for a new track in Marlay Park, which will have a large catchment area. In the meantime, a perfectly good track at Belfield lies idle. In these straitened times, refurbishing it would cost a fraction of starting from scratch in another location. So is anyone willing to knock a few heads together in UCD? There are also the Fit for Life groups, now numbering 130. These replaced the Meet and Train groups that were a feature of the Women’s Mini Marathon in its early days and brought thousands of women into the sport. Indeed, since the arrival of the mini marathon over 30 years ago, women have become vital members of athletics clubs all over the country, not only as athletes but as administrators, officials and coaches. Yet at national level in Athletics Ireland, there are five men for every one woman on the overall board (3 women, 17 men) and on the six committees that look after its various functions: coaching and development (2 women, 10 men), competition (3 women, 11 men), finance and risk (1 woman, six men), high performance (2 women, 6 men) , juvenile (4 women, 11 men) and technical (2 women, 11 men). This is truly shocking – although with Athletics Ireland now run by 22 full time and 8 part-time staff (costing €1m plus each year), some of these committees could possibly do with a “hair cut”. Or at the very least a trim. Leaving statistics aside, the concerns of the active membership shine through in the motions to be discussed. Causing much angst is the over-crowded fixtures list, where charities and events organised by GAA, soccer, rugby, rowing and other sports clubs are as likely to get permits as affiliated athletics clubs. Cork wants the entire process of handing out permits looked at, with AI club races getting first choice on traditional dates. Meath wants more local regulation so that road races in particular don’t clash. Cork would also like to see national championships rotated between the four provinces; this year, all four annual road race championships are taking place in Dublin (10km, road relays, half marathon and marathon). Motions concerning the cross-country season are likely to generate some heat. Galway is proposing an interesting solution: a four division cross-country league, to include novice, inter, and senior inter club races, with two of these races taking place in January and February. A proposal from the AI board for an amalgamated interclub and intercounty championships should get passed, although when exactly this should take place will certainly cause some argument.